Chiefly in upland forests, beech-maple, mixed hardwoods, even oak-hickory, especially in slightly disturbed places as along trails, by up-turned tree roots, etc. ; sometimes in swamps, or weedy in meadows and fields (especially bordering forests), and shrubby thickets. Throughout the state, sometimes growing with perfectly glabrous plants, are ± pubescent individuals bearing a few fine hairs on the stem and denser pubescence of short incurved hairs on the pedicels. 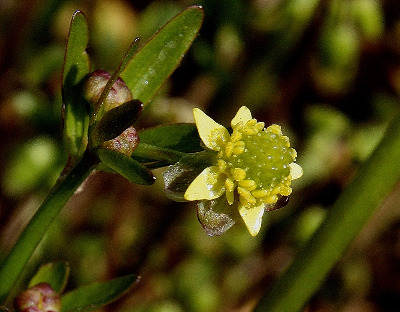 Occasionally the petals may appear to be as long as the sepals, but if the cupped sepals are flattened out they will exceed the petals. MICHIGAN FLORA ONLINE. A. A. Reznicek, E. G. Voss, & B. S. Walters. February 2011. University of Michigan. Web. 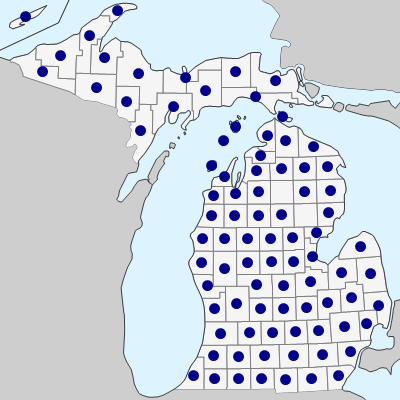 April 19, 2019. https://michiganflora.net/species.aspx?id=2381.